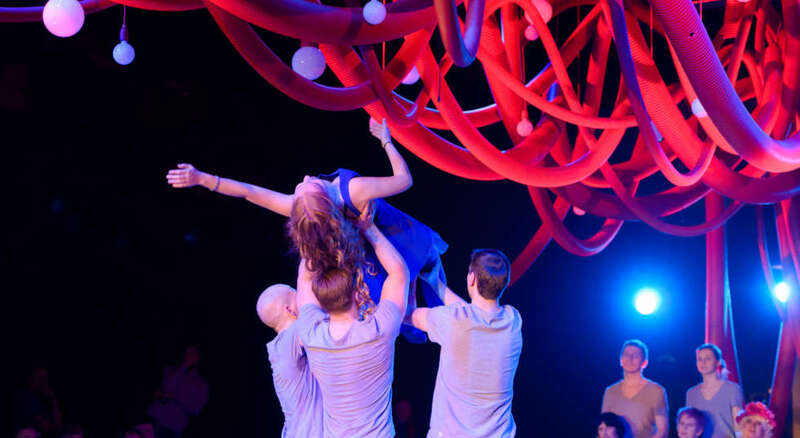 Graeae are currently collaborating with a Russian theatre company and a Russian director on In Touch; a show about how deafblind people go through life, the barriers they have faced and learning to manage their disability. For the first few days of rehearsal, we were in a studio at a museum; here we got to know each other over some drama games. We then watched the Russian actors perform the 2015 version of it, to help get an idea of the shape of it. This was followed with us working on a few scenes, with the Russian and English actors working together; we worked on words and phrases exploring how we feel about being deafblind, or how the hearing actors felt when meeting someone who is deafblind. We also looked at the ensemble work, as at times during the play we are together as a full company to illustrate the sense of loneliness and togetherness. Later in the week, we ran an open rehearsal, which we invited visitors at the museum to watch. We also rehearsed the show at a small 200-seater university venue, working out how to tell people’s individual stories in different ways, and how to use certain objects as metaphors. As part of this project we have had as many as six languages in one room, including Russian to English, English to British Sign Language, English to Hands On, Russian to Russian Sign Language, Russian Hands On and Russian Deafblind Manual.